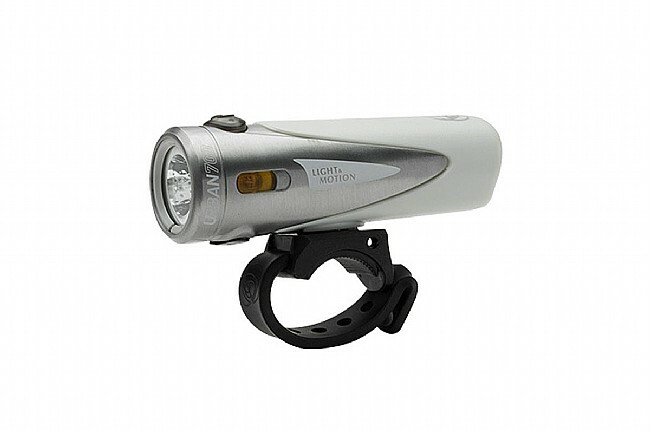 Designed to make your urban assaults that much easier, this 700 lumen front light is bright enough to light up even the darkest city streets. Whether you've got early morning commutes or you just want to hit up some local singletrack for a post-work shred session, let the Urban 700 light the way. 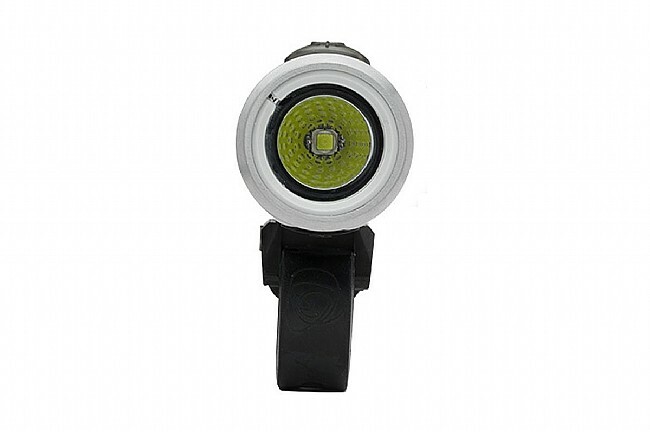 Featuring a FL-1 certified 700 lumen CREE LED light, the Urban 900 front light provides 4 light modes and amber side lighting for 360º of visibility. Lasting up to 12 hours on a single charge, this light is designed to be visible, versatile, and reliable. Of course, as with the rest of the Urban light lineup, the Urban 700 features a fully waterproof design for all-weather riding. 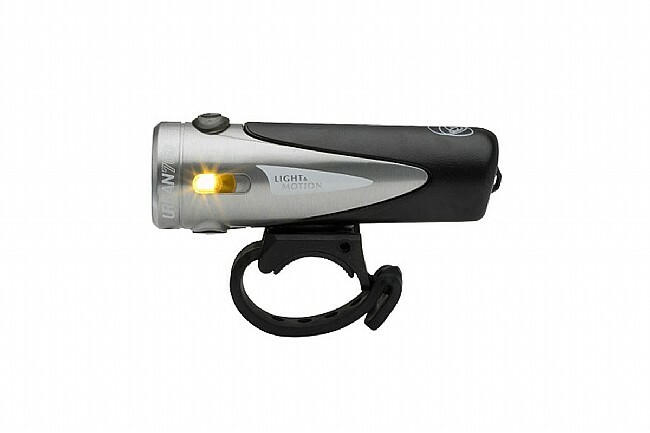 The Light and Motion Urban 700 Light includes the Urban 700 Headlight, Quick Release Handlebar Mount, and Micro USB Charging Cable. Four light modes: High, Medium, Low, Pulse. Lumens: High – 700, Medium – 350, Low – 175, Pulse – 175. Run time: High – 1.5 hours, Medium – 3 hrs, Low – 6 hrs, Pulse – 12 hrs. 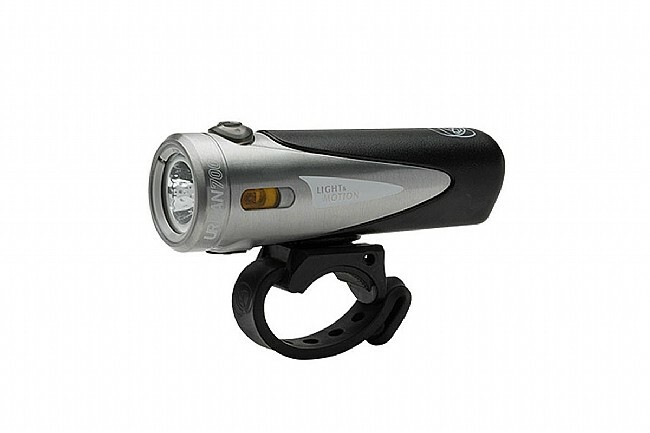 This is an excellent headlight for early morning or nighttime city commuting. Super easy to install and put on or take off the bike. Excellent beam and the different light modes are easy to switch between. Highly recommended. This light is compact and relatively light weight. I already had another light, but I got this one when it was on special because of the pulsing light mode for daylight use. Part of my commute is on a busy road and I wanted the added safety. It does take several hours to charge, but that's typical for this kind of light. What I've found frustrating is that it's too easy to accidentally activate the so-called race mode where successive clicks of the power button alternate only between high and medium brightness settings. The first time this happened I could not figure out what had gone wrong, and why I couldn't get to the pulse mode. I gave up after several minutes of frustration and started my ride. When I finally looked up the instructions online, it explained what was happening, but even knowing that it is still too easy to switch modes accidentally. 1 second button press to turn onoff can easily slip to 2 seconds which switches between race and standard mode.